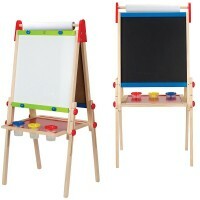 Janod's sturdy standing easel comes with the blackboard, dry-erase whiteboard, and art supplies for creative projects. 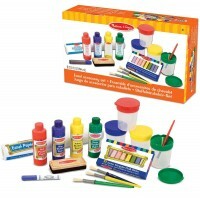 Your little artist will be so delighted to create their art masterpieces with their own special standing easel! 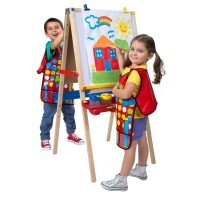 Splash Double-Sided Adjustable Floor Easel with 13 Accessories is designed by a prominent French toy maker, Janod, for young Picasso from 3 years and up. 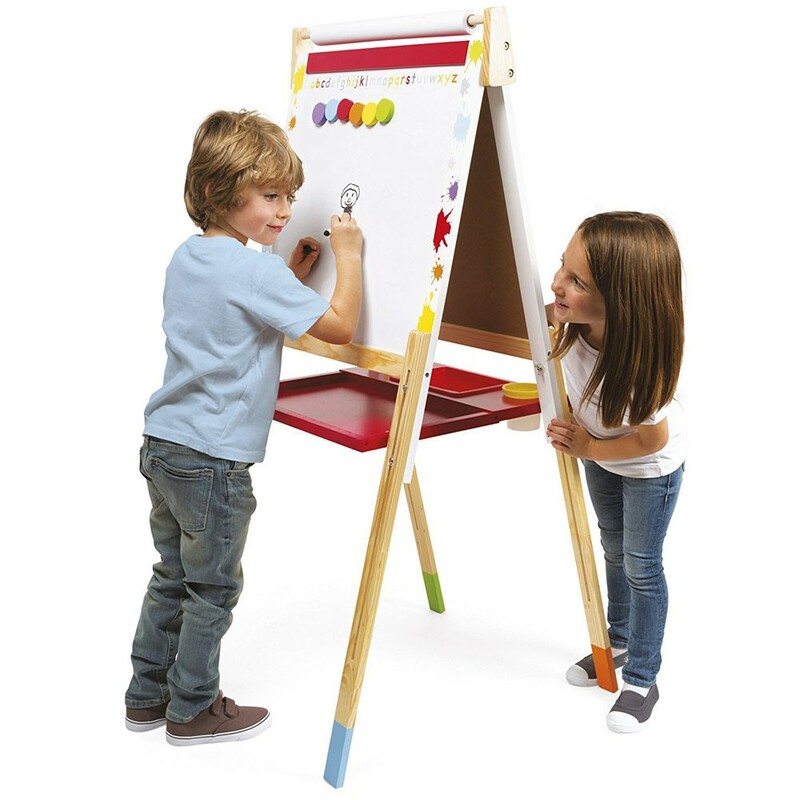 The height of this wooden standing easel adjusts from 35.8 to 49.6 inches. 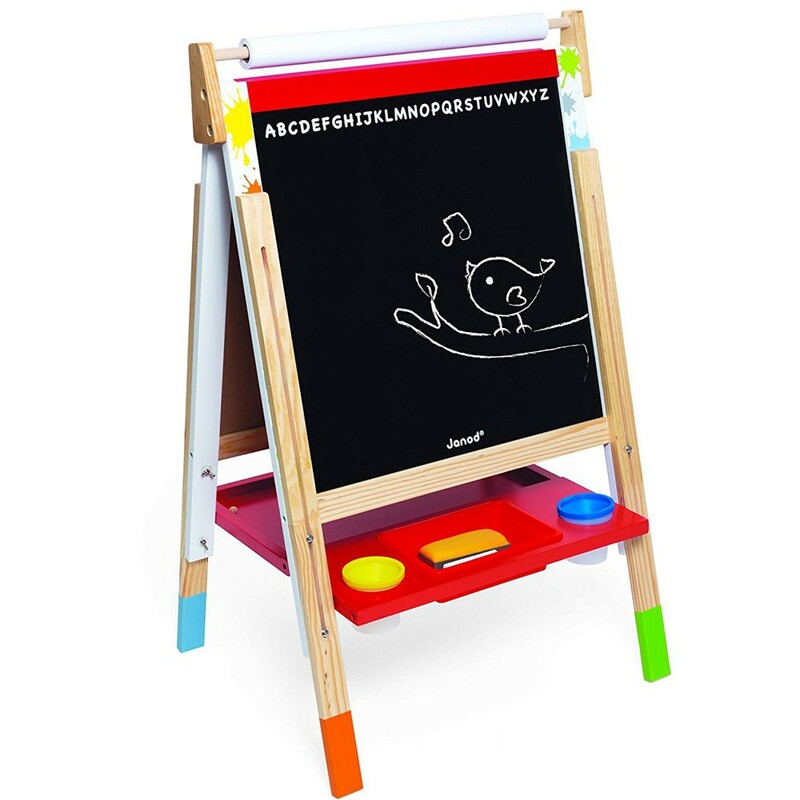 The adjustable height of this wooden floor easel makes this art equipment grow with your child and create comfortable work place for them. 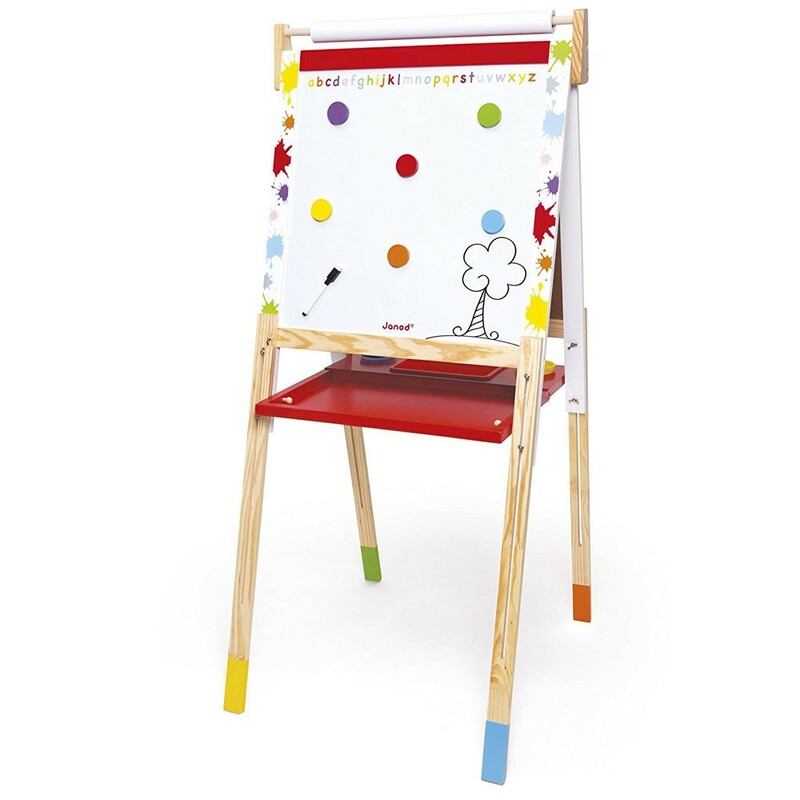 This children easel features 2 sides of creative fun. 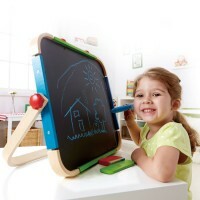 One side of this standing art easel is a chalk blackboard. 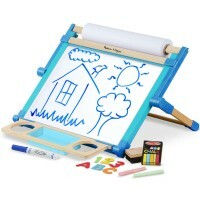 Another side is a dry-erase magnetic board with the wooden bar to place the paper roll. 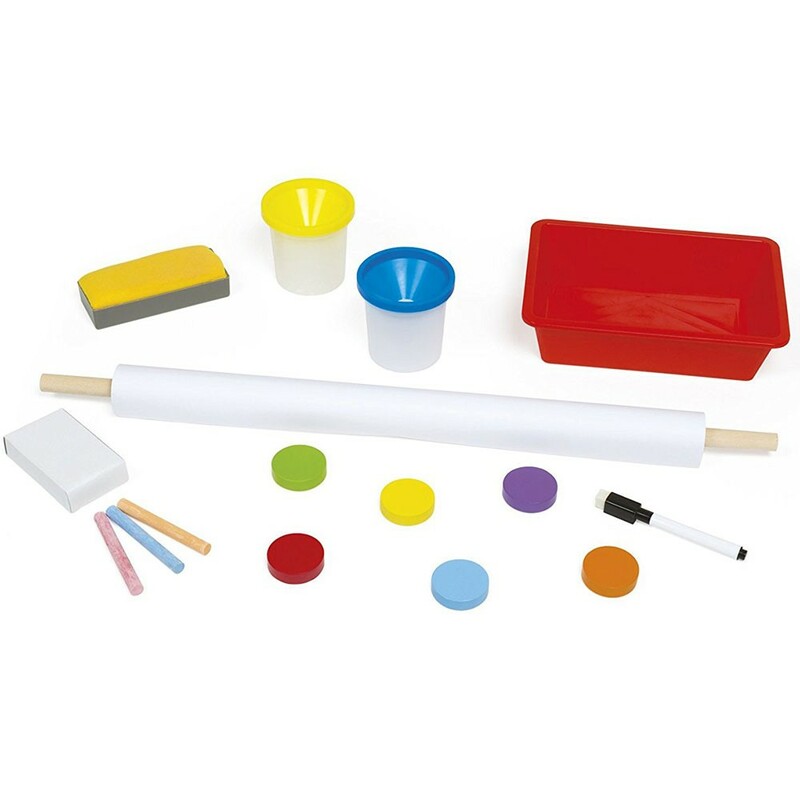 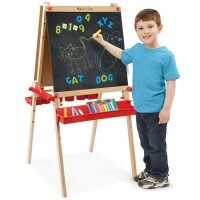 This adjustable height floor easel from Educational Toys Planet comes complete with 13 art accessories including paint jar, magnetic wooden clips, box of chalk, felt eraser, dry-erase marker with felt eraser tip, chalk or supplies tray, paper roll and more. 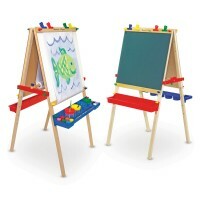 The kids easel provides terrific art work space for all children's painting, drawing or chalk activities. 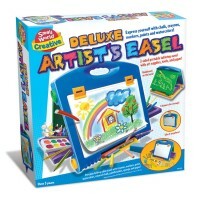 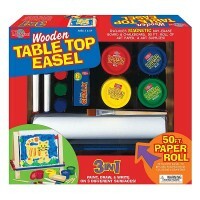 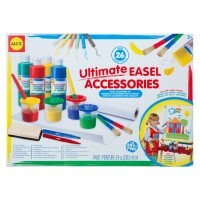 Janod art easel is one of the bestselling holiday or birthday gifts for all creative children. 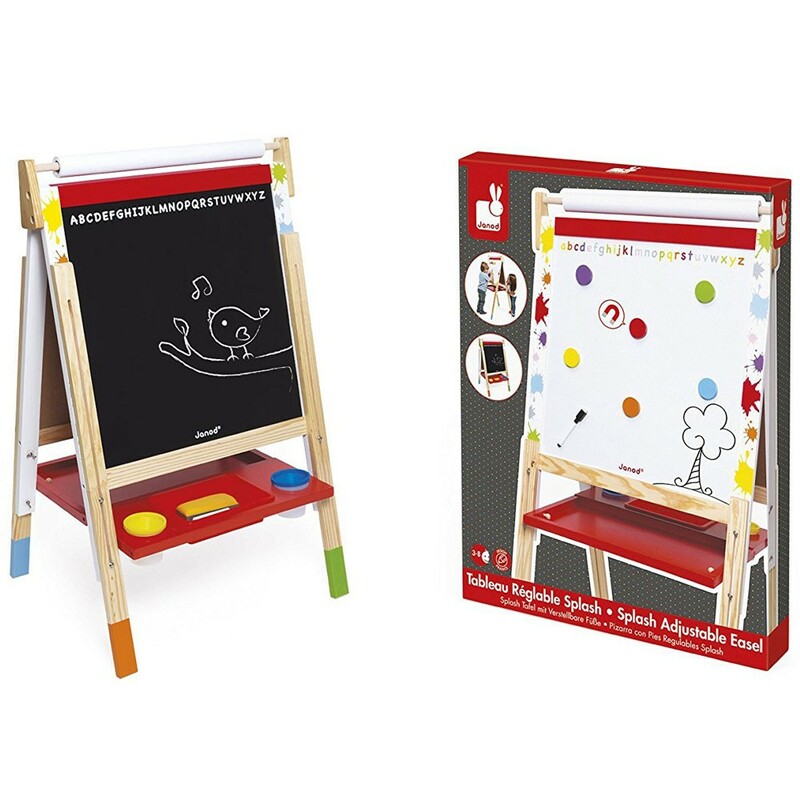 Dimensions of package 3.35" x 22.05" x 29.33"
Write your own review of Splash Double-Sided Adjustable Floor Easel with 13 Accessories.